Let’s be honest — how many of you reading this article watched the National Football League’s Pro Bowl? And how many of you enjoyed it? 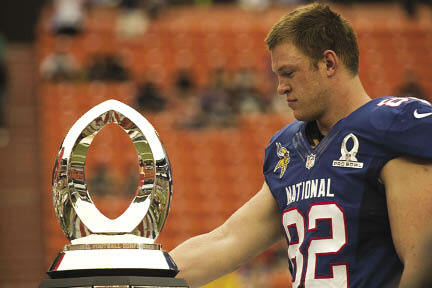 With a total viewership of over 10.6 million for its 2013 edition, the Pro Bowl does draw in a larger viewership than the MLB, NBA, NHL or MLS all-star games. However, that hasn’t stopped many commentators from dis- cussing radical changes to this “meaningless” game’s format — or even getting rid of it entirely. Even commissioner Roger Goodell has jumped on the band- wagon, openly musing about cancelling the Pro Bowl due to lack of effort by the players. “Football as a sport doesn’t really align itself well with the all-star game experience, due to the physicality of it, and the potential for players to get hurt and lose salary,” said David Legg, a professor in the department of physical education and recreation at Mount Royal University. Furthermore, Legg noted that the Pro Bowl takes place at the end of the season, when most players are already “beat up and tired,” and even if they wanted to, they might not be able to give the game their all. Compare that to the other major leagues, which offer their games at the midpoint of the season. “It’s a chance for other players to take a bit of a break, time for the teams to reflect on the story lines of the season and prepare for the second half, and it’s an opportunity to celebrate the sea- son,” Legg said. However, let’s not throw the baby out with the bathwater. If all the other major leagues in North America have an all-star game, why can’t football? 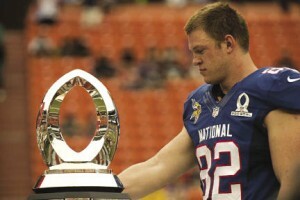 What can turn the Pro Bowl into this “celebration” that the other leagues have? Let’s set aside MLS right away — while the up-and-coming soccer league has a rather well- received all-star game that puts North America’s best up against powerhouses like Chelsea F.C. and Manchester United, the closest the NFL can get is to play the Grey Cup champions. Based on previous attempts at CFL-NFL games, it’s likely that this will not end well at all. With that in mind, let’s take a look at what the other three leagues do right. The first thing that comes to mind is their traveling nature — Legg calls this a “traveling circus experience,” allowing a new city every year to become the focal point of the league’s attention. “The game itself becomes al- most superfluous, only a small part of the entire celebration,” Legg said. Moving from stadium to stadium every year might help create some buzz, but what about the events everyone turns in to see during these all-star games, the NHL skills competition, MLB’s Home Run Derby, and the NBA’s Slam Dunk Contest? When Legg was in Ottawa for the 2011 NHL All-Star game, he noticed that it was the skills com- petition, not the game itself, that got the city and the fans buzzing. The NHL completely re-jiggered their all-star game for the 2011 event in Raleigh, giving fans a chance to pick who they sent to the game and letting us finally see the Sedin twins play against each other. It’s been received as a brilliant success by many in the sporting world, so it goes to show that stale competitions can be made great again. It’s now time to see if the NFL can do the same to its vaunted Hawaiian fete.